Dynamic comparison works when user choose one or more products for comparison by clicking on Add to compare button. Theme supports multi group comparison (when product is added to own group based on product’s category). Also, you can create custom comparison chart to compare only those data which you want. We added also several functions to create charts automatically. It’s available for WooCommerce products and for posts which have Flipkart products which added with Content Egg. When you start configuring comparison, just understand, that you must configure two things – How to show comparison charts on comparison page and How to enable comparison button which will trigger dynamic comparison functions. If you want to compare WooCommerce products, you can use built-in system instead of custom plugins. Go to Theme option Dynamic Comparison and enable there dynamic comparison for woocommerce. If you have Content Egg plugin and enabled Flipkart module, you can try new automatic comparison page. Theme will grab specification data from Flipkart if you added offer from Flipkart to post. So, you don’t need to build comparison charts. To use this function – use Content Egg + Flipkart module, then, create page and choose “Auto Comparison chart Flipkart CE” template in page attributes. Then, configure comparison page as described below. You can also build your own comparison page with comparison chart builder. This allows to compare only those data which you want and control every row of chart. To use this, create page, choose Top chart constructor and page attributes and begin to add each row of chart. Create page with comparison chart template or shortcodes as described in the relevant section. Go to Theme option Dynamic comparison . Here, you can use two types: single and multi group compare. If you have single niche site – use Single group. If you want to have several comparison pages – enable Multi group. This shortcode will generate button which will add current post (where shortcode is placed) to comparison. 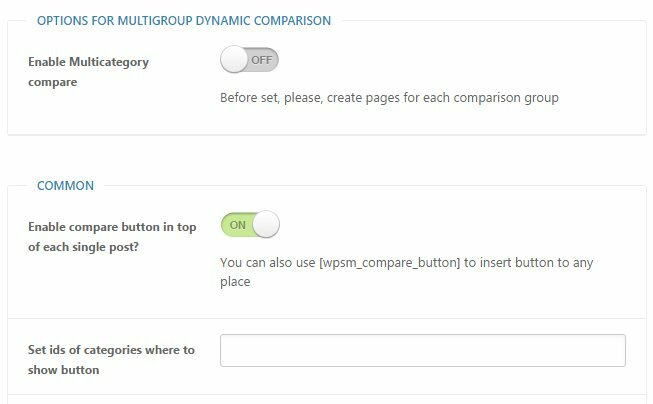 By default, when user clicks on button, item will be added to compare group and he will see comparison icon in right side of site. You can disable this icon in options. Instead of this, you can add this icon in header section. For this, choose Shop/Compare header layout in Theme option Header and menu .